Analysis of Wellington buildings by the European Commission’s Joint Research Centre in Italy. 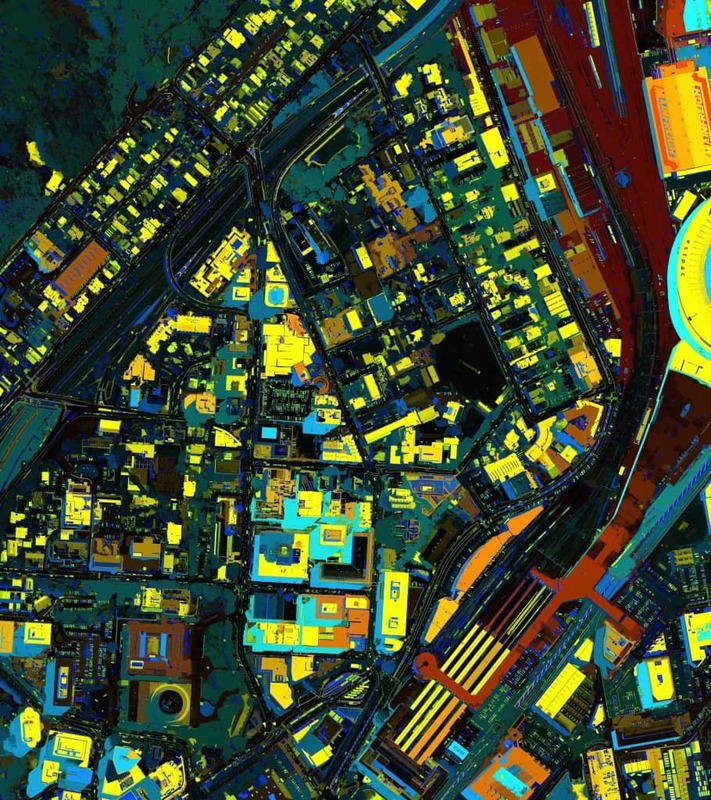 It is using satellite images and remote sensing systems to create a ‘Global Human Settlement Layer’ for the Digital Earth project. Radio New Zealand National’s most forensic interviewer, Kim Hill, will chair a new series of public discussions in Wellington about the social implications of new visual systems for gathering, classifying and communicating factual information. Hosted by the Royal Society of New Zealand to support the National Library’s current Big Data: Changing Place exhibition, the five discussions will include trios of experts publicly interpreting the latest conversations among boffins at the frontiers of Earth observation sciences and post-Google Earth multimedia technologies. The discussions will be held at the Royal Society’s lecture theatre, Te Whare Aparangi, 11 Turnbull Street, Thorndon, Wellington – and will be broadcast on Radio NZ National on Sunday afternoons several weeks later. > FROM SPACE TO PLACE: Recovering the Personal. Thursday 14 February 6-7-pm (broadcast Sunday 10 March from 4.06pm). Commentators Kevin Sweeney, outgoing NZ Geospatial Custodian; Bill Macnaught, National Librarian, and Stephen McDougall, principal of Studio Pacific Architecture. > CITIES AND SUDDEN CHANGE. Wednesday 20 February 6-7pm (broadcast Sunday 17 March 4.06pm). Commentators Dr Mark Quigley, University of Canterbury expert on disaster communications strategies, Professor Janis Birkeland, sustainable built environment systems expert at the University of Auckland, and Sir Bob Harvey, Chair of Waterfront Auckland. > THE SENTIENT PLANET: Technology as a Super Sense. Wednesday 6 March 6-7pm (broadcast Sunday 24 March 4.06pm). Commentators Dr Mark Sagar, Director of the Laboratory for Animate Technologies, Auckland University Bio-engineering Institute, Richard Simpson, curator of the Big Data exhibition and Director Metabola urban development technologies consultancy, and Dr Cornel de Ronde, research geologist with GNS Science. > GROWING UP DIGITAL. Wednesday 13 March 6-7pm (broadcast Sunday 31 March 4.06pm). Commentators Guy Ryan, Director Inspiring Stories Trust, Erika Pearson, University of Otago Department of Film, Media and Communication, and Bronwyn-Holloway-Smith, Director Creative Freedom Foundation and contemporary artist. > OPEN DATA: Letting It Loose on the Crowd. Wednesday 3 April 6-7pm (broadcast Sunday 7 April 4.06pm). Commentators Julian Carver, founder of Seradigm and spokesperson for Open New Zealand, Ed Corkery, Chief Executive Koordinates, facilitating online access to geospatial datasets, and Peter Griffin, manager Science Media Centre and technology commentator for Radio NZ and the NZ Listener.